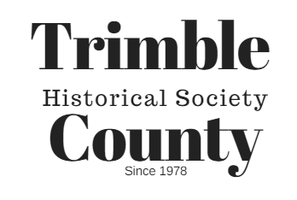 Early in 1977, three ladies met in the upper room of the Cardinal Hills Golf Course to discuss forming The Trimble County Historical Society. Clara Scott, Lola Stark, and Donna Stark Wehby (now Thompson) formed this Society intent on preserving the records of Trimble County. 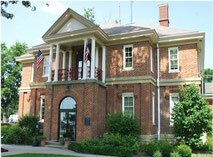 The first meeting of the Society was held at the Trimble County Public Library in May 1977 when Mr. Lewis Wood, Field Director of the Kentucky Historical Society, met with a group of Trimble citizens. Miss Clara Scott became acting chairman, and was then elected the first President by the organization. Miss Irene Long filed the application for a charter and the Certificate of Incorporation for Trimble County Historical Society, Inc. was issued August 21, 1978 from the Commonwealth of Kentucky. Their first project was a cemetery book requiring members trek to the old resting places, cut vines away, dig out stones, and transcribe the information found. Since that time, the Society has published many books of interest to those whose roots lie in Trimble County, Kentucky. 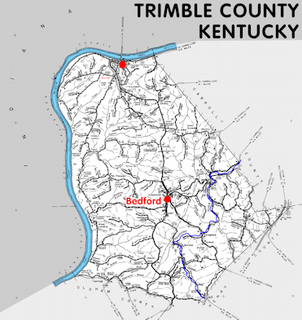 Trimble county is in the Outer Bluegrass region of Kentucky. The elevation in the county ranges from 420 to 970 feet above sea level. an average of 58.1 people per square mile. Trimble county was named to honor Robert Trimble, who served in the Kentucky legislature, on the Kentucky Court of Appeals, as United States Attorney for Kentucky, and on the Supreme Court of the United States. Obituaries and current events can also be found in recent editions of these papers. Inquiries can be sent to the President of the Society, Hilda Parrish. Please take time to visit the Reference Section at the Trimble County Public Library. A copy of our published works are available there for your reference while others can be purchased as well.